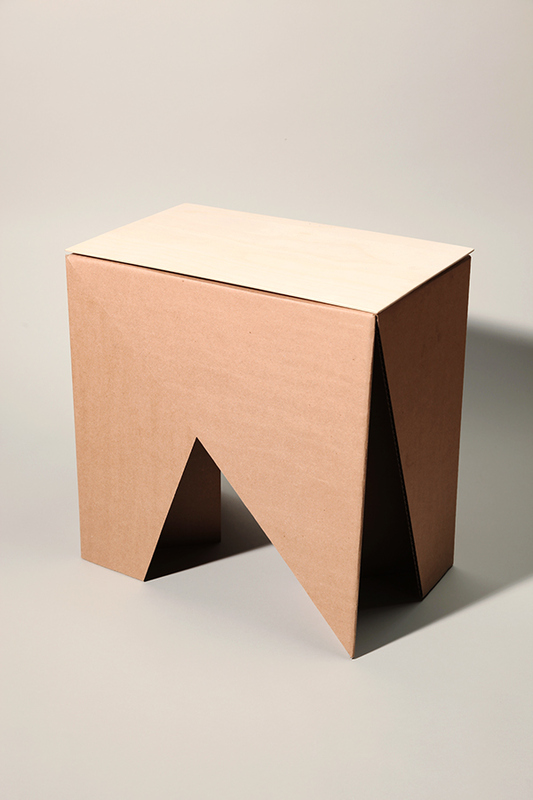 A 16" tall stool made out of one sheet of 4' x 8' cardboard. 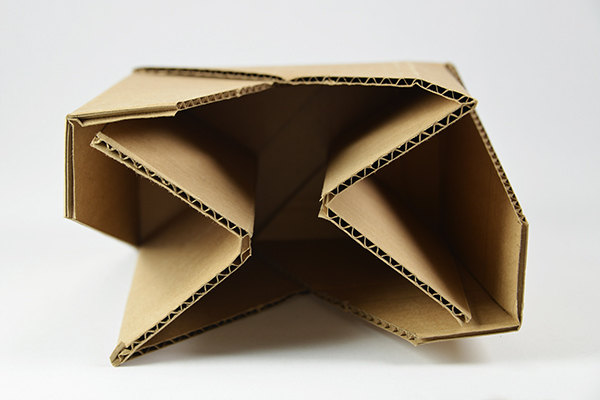 Design and build a stool utilizing cardboard as a primary material. 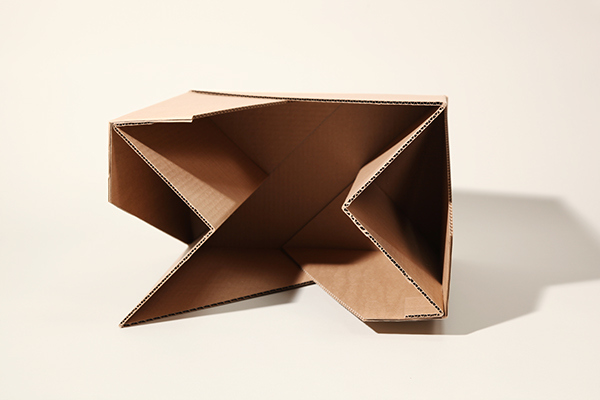 Explore what cardboard can do in terms of structure, connections, and aesthetics, and create an efficient, simple, and functional stool. 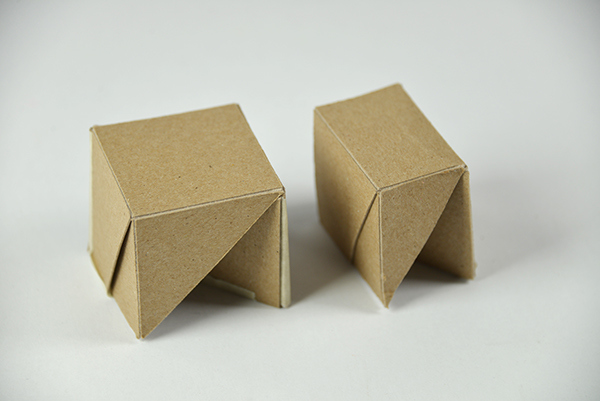 -stool height must range between 12"-16"
I decided that I wanted to make a stool that would be able to be folded out of a single sheet of cardboard. 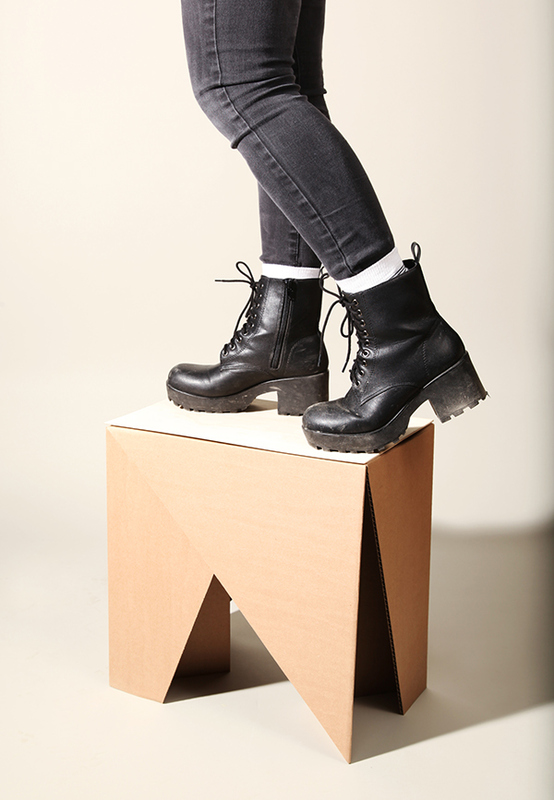 This would make the stool not only strong functionally, but if it were to be manufactured, it would save material costs. 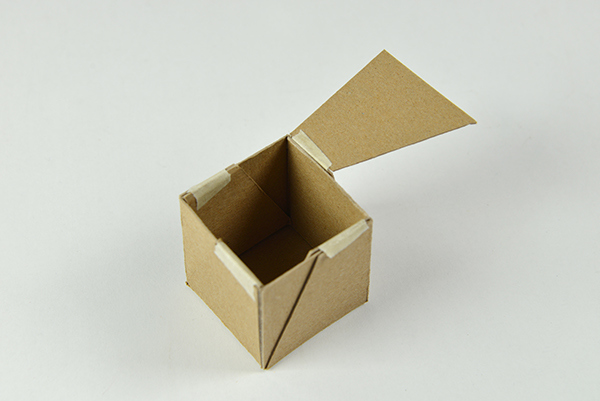 Its flat-pack nature would also reduce distribution costs. 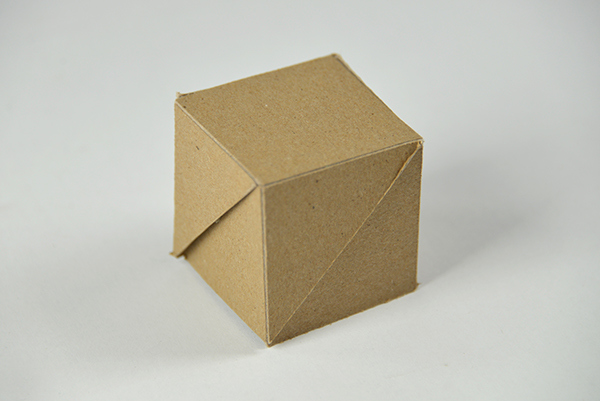 I started out by making the following symmetric, small-scale model. 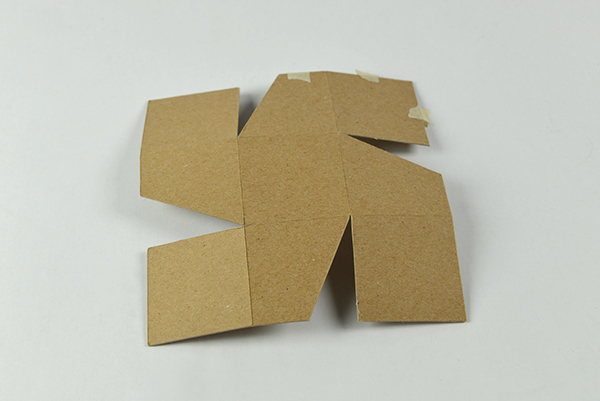 Next, I decided to play with the shape of the cardboard plan, and tried to create folds in the cardboard which would increase the stool's strength once it bore weight. 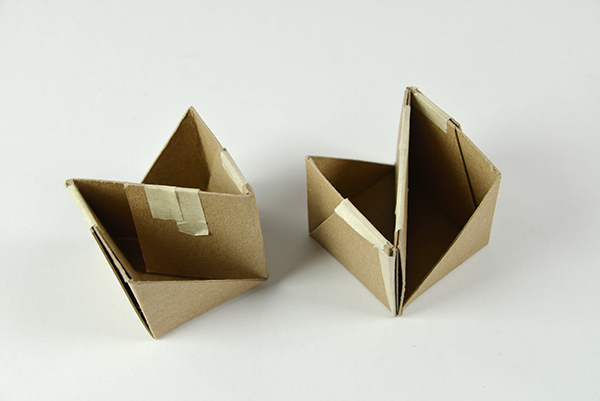 I proceeded by playing with the different geometries created by the folded cardboard. 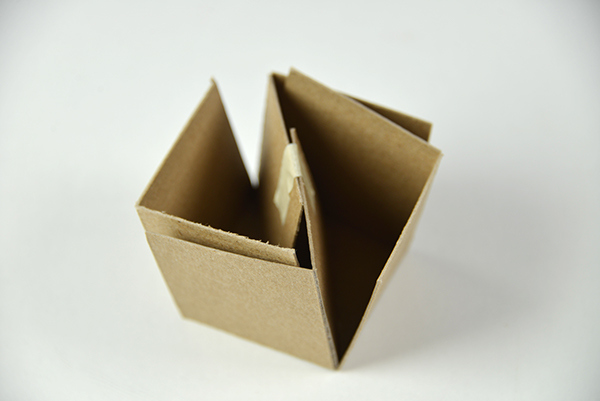 One of my ideas was to create moments where the cardboard would fold over itself to increase its strength. 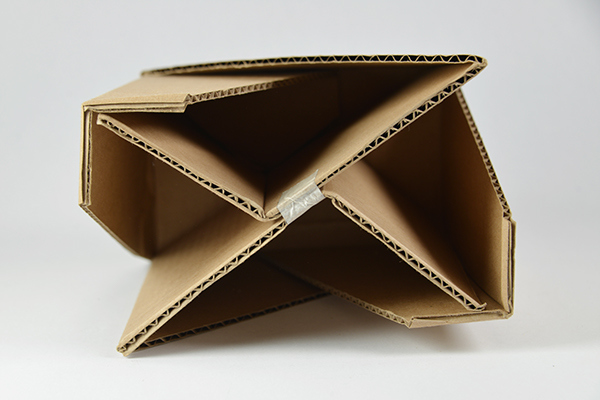 While this made the base of the cardboard very strong, the seat was unable to take large amounts of weight. 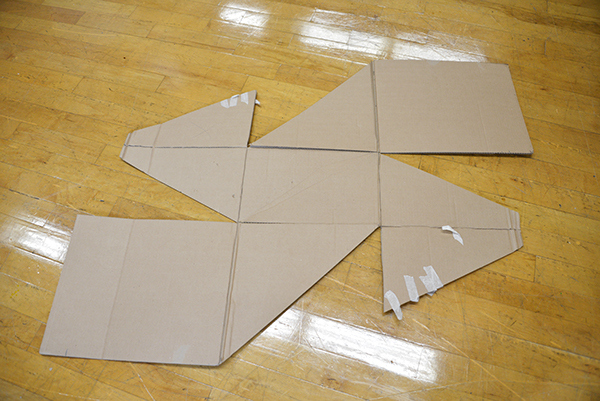 Next, I started to play with the plan in order to increase the surface area for which to bear weight. 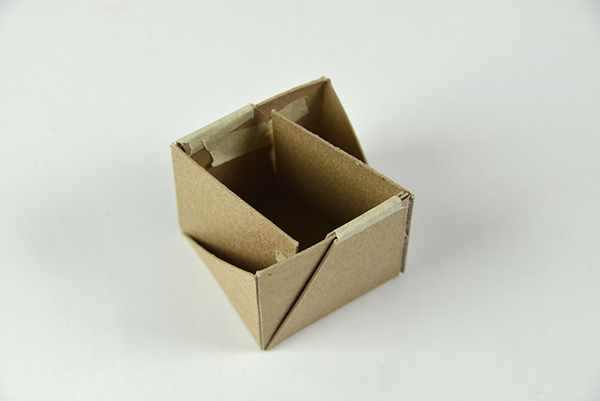 I tried to make these parts pass through the middle of the seat to also serve as a support for the seat. I then realized that weight was not being placed on the center of the seat, but rather in approximate thirds due to the shape of the human bottom. 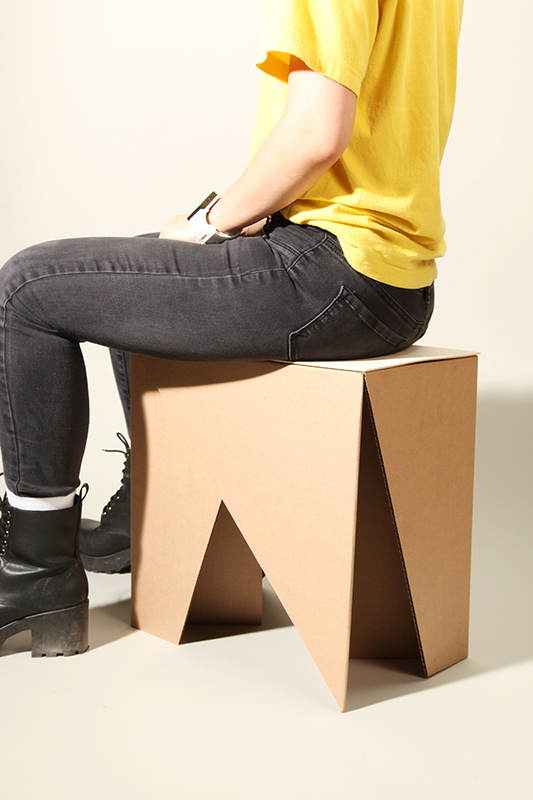 I decided to change the proportions of the stool in order to make it more visually interesting. 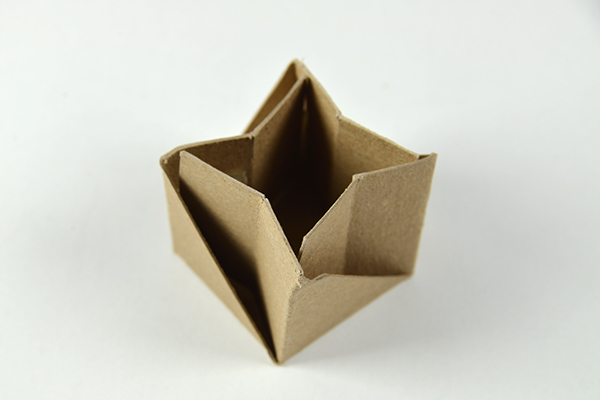 For this design, I conducted a small-scale weight test and was quite surprised by the results. 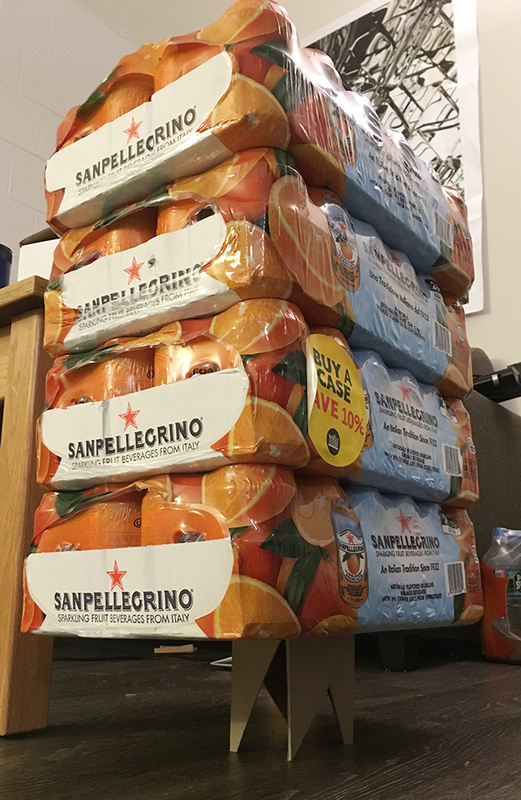 My quarter scale model was able to hold four full beverage cases. Once again, I played with the different patterns and proportions of the shapes. 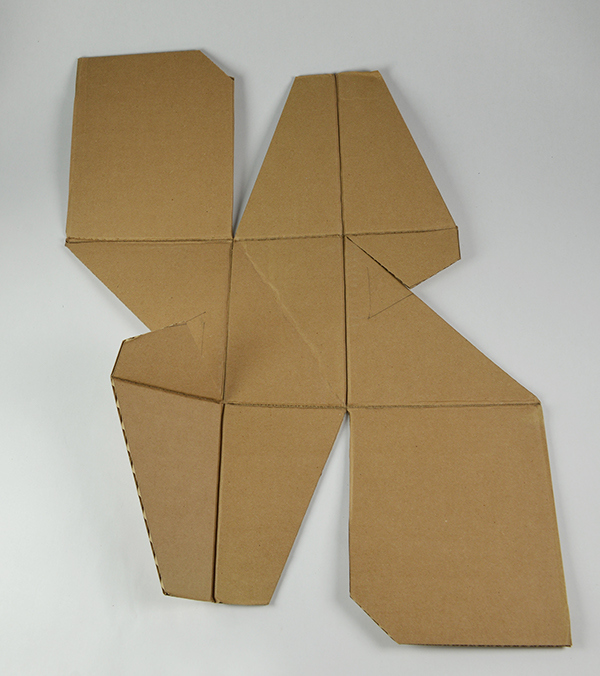 I continued to play with the base pattern for optimal strength and minimal cardboard usage. 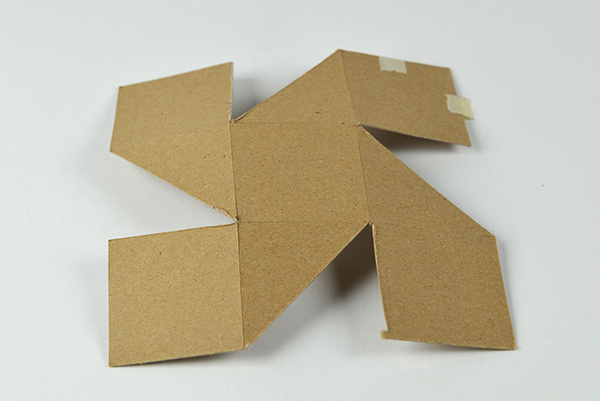 I also figured out which orientation of the cardboard plan would strengthen the model, as cardboard has a grain to it. 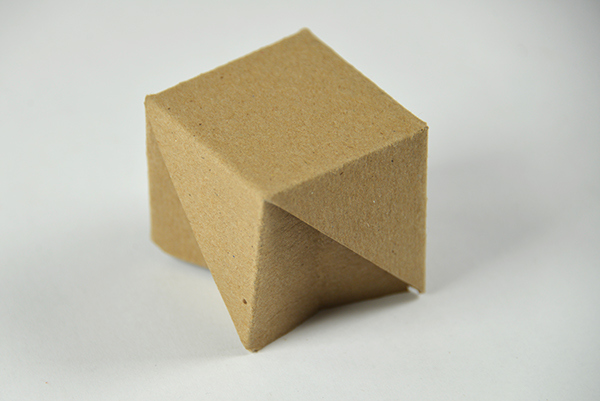 I eventually settled for the following design, which had greater surface contact with the floor, and also was structurally sound. 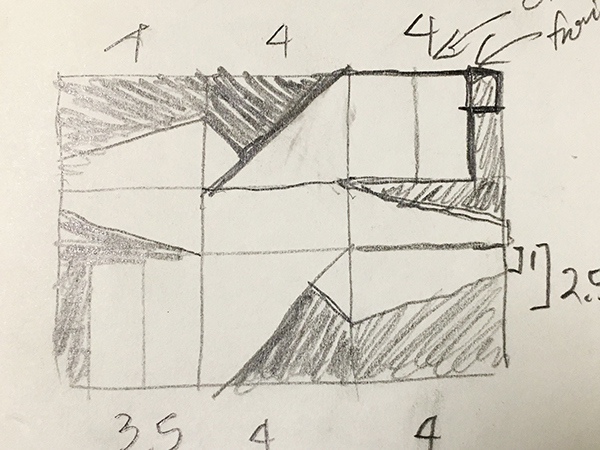 Below is my final model and the plan for it. 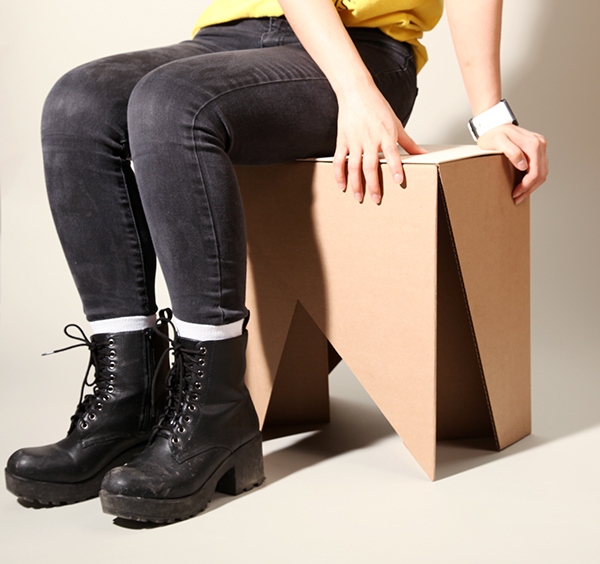 I decided to attach a thin-sheet of plywood on top of the model in order to prolong the lifetime of the stool.